Stranger Things wallpaper. 1440x900. HD Wallpaper and background images in the Stranger Things club tagged: photo stranger things netflix season 1 poster wallpaper widescreen 1440x900. 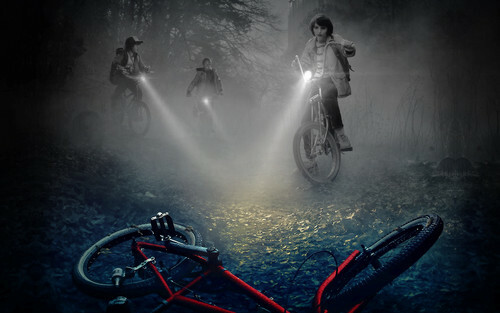 This Stranger Things wallpaper contains ciclismo, andar de bicicleta, ciclismo, andar de bicicleta, bicicleta de montanha, todos de bicicleta terreno, fora roader, mountain bike, bicicleta todo terreno, off roader, bicicleta de todo terreno, and fora de estrada. There might also be bicicleta, roda, ciclo, and fonte.